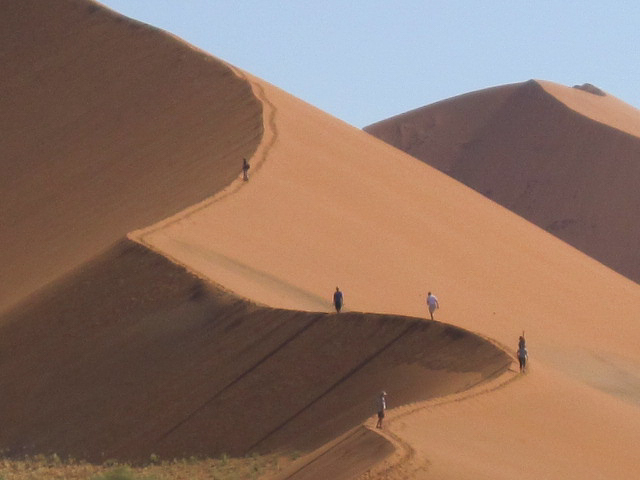 Namib Dessert Excurtion can be added to the front or the back of your safaris as part of an extended Itinerary. 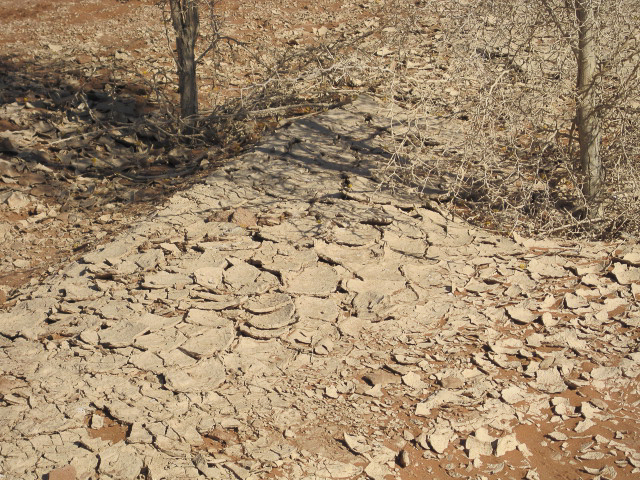 Due to the long distances traveled to visit some of the major attractions in Namibia, this excursion might not be suitable for small children, please consult with us should you wish to bring Children along on this tour. 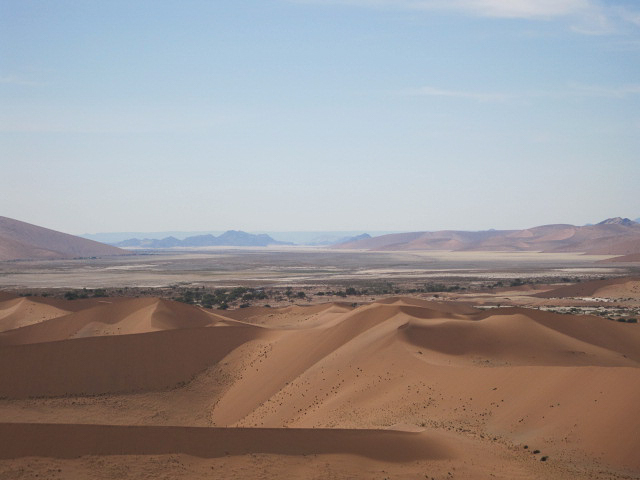 The Namib Desert consists of spectacular amber red sand dunes, vast open plains and rugged mountains. 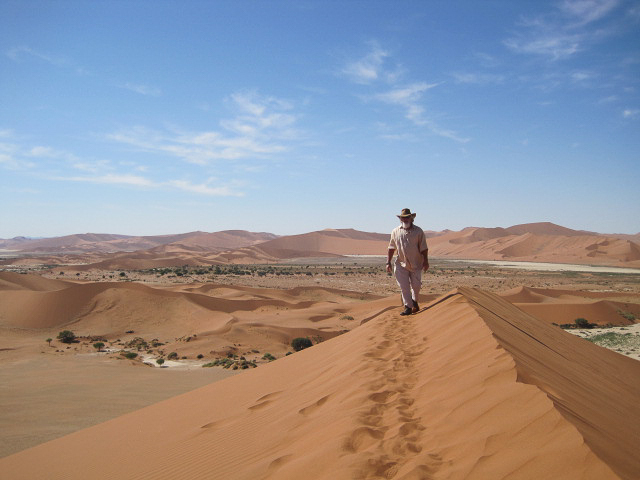 Namibia’s name was derived from the Namib Desert, which is a long, narrow coastal desert with a varying width of 50km – 140km and spans the entire coastline of Namibia. 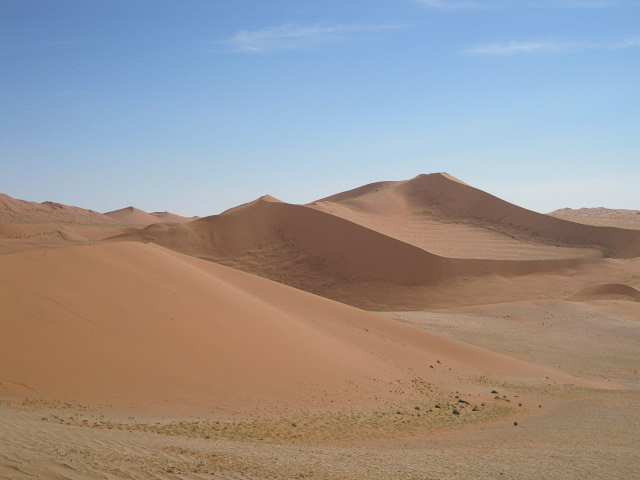 Some of the largest sand dunes in the world is found in the Namib Desert. 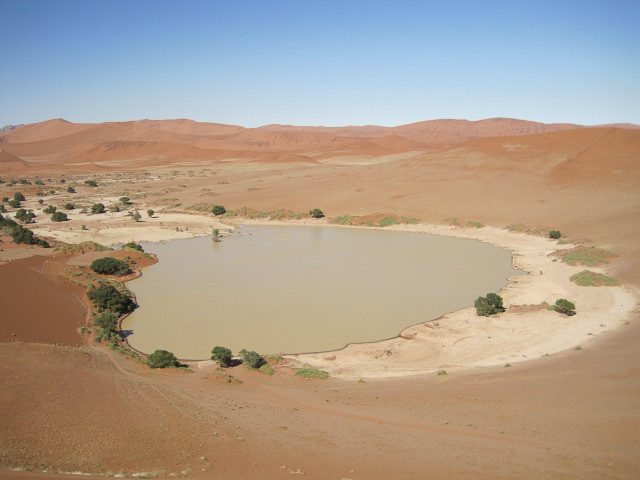 The Sossusvlei dry clay pan lies within the Namib dunes and mark the end of the Tsuachab River’s way to the sea. Thousands of years ago the river flowed into the Atlantic Ocean but the slow movement of the Dunes cut of its way, resulting in a pan. 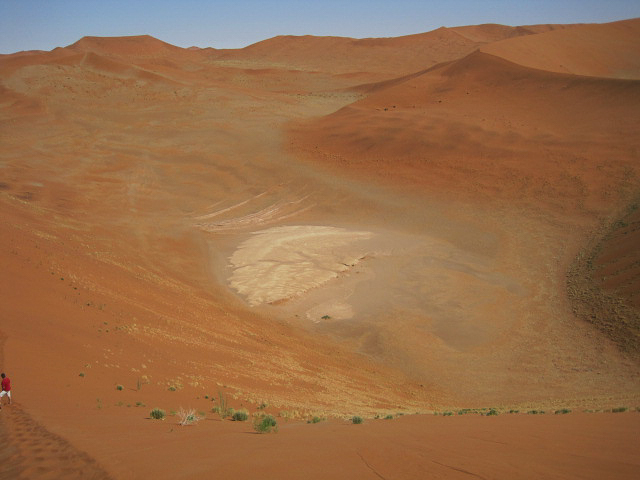 Sossusvlei can be dry for decades and are inundated only after exceptional rains. Various animal species are adapted to live in these harsh conditions, the most impressive being the Oryx (Gemsbuck), which is able to survive without any water. 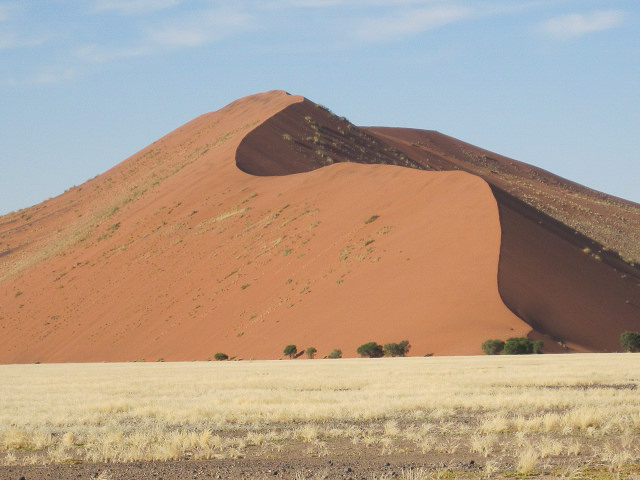 Sossusvlei is one of Namibia’s major tourism attractions and definitely worth visiting. Activities like hot air ballooning and scenic flights can be arranged. 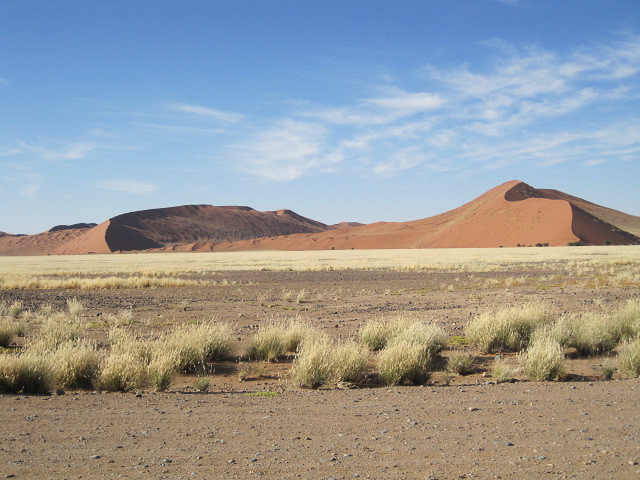 Not to mention that Sossusvlei is a photographer’s paradise.